We’d recommend a prepaid travel card if the country you are visiting uses the available currencies. 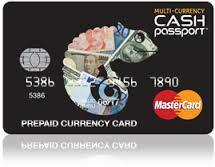 We sell Mastercard Multi-Currency Cash Passports – these allow you to pre-load several different currencies (currently available are NZD/AUD/EUR/USD/GBP/JPY/CAD/HKG/SGD) onto a Mastercard debit, meaning you can make purchases/ATM withdrawals in those currencies without paying the foreign exchange fees. There are no fees for ATM withdrawals or at point of sale (in-store) but there are a few fees – 1% subsequent load fee, $4 monthly inactivity fee (after 12 months of inactivity) and a $10 closure fee. They are chip and pin protected, supported 24/7 and can be reloaded using bill payment via internet banking. Note that these are debit not credit cards though, so don’t use them as bonds on cruise ships or for car hires as the account will be debited. 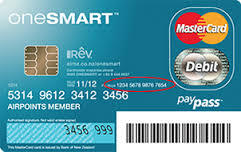 There are also “Onesmart” cards from Air New Zealand – the main benefit of these is that you earn Air NZ Airpoints on your purchases and three free ATM withdrawals a month. Fees are minimal other than a $1 monthly fee. Getting the card is free but the exchange rate is usually not quite as good as the Cash Passport. So we’d recommend getting a Cash Passport if the country you are visiting uses one of those 9 currencies. If the country you are visiting doesn’t use one of those currencies (common ones are China/Vietnam/India/and much of Africa or South America) then the Cash Passports aren’t as useful as you’ll still have a currency conversion fee applied when using the card. In those instances, get local cash from ATMs where possible, when you run out use your credit card, and as a last resort exchange some cash at a money changer (avoiding the booths in the airport). Withdrawing cash from ATM’s is the most convenient and you usually will get the best ‘interbank’ conversion rate this way. However, there are several fees – a “Service Margin Fee” charged for withdrawing foreign currency, and will usually be between 1-2% and an Overseas ATM Fee charged for using an ATM outside your banking network. It usually ranges between $5-$10. You may also be charged a Local ATM Fee – by the local bank for using their ATM when you’re not a member of their network. There is a “Global ATM Alliance” – a joint venture between several international banks which allows clients to make free overseas ATM withdrawals. In New Zealand, the only current member is Westpac. 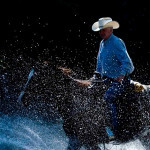 They have an electronic account that has no monthly fee and no transaction fees. Once you have an account with Westpac, you can withdraw money from any alliance member’s ATMs. The Global ATM Alliance doesn’t cover all countries, and currently has no banks in Asia. ANZ has branches throughout Asia and other parts of the world, and if you’re an ANZ customer you can withdraw from their ATMs without paying fees. 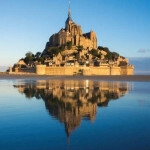 They have a “Go” account that has no monthly fee or transaction fees and they’re the only bank in New Zealand with credit cards connected to the Qantas/Oneworld Frequent Flyer program. 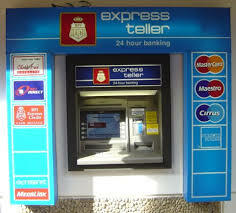 You’ll be able to find their ATM’s throughout Asia, the Pacific Islands, and a few through Europe and the US as well. With both an ANZ and Westpac account, you should be able to enjoy free ATM withdrawals throughout a good portion of the world. Remember also – if your Eftpos card has a PLUS or Cirrus symbol on the back, you can use it at any ATM in the world marked with those two symbols (most are). We recommend that you always tell your bank that you are travelling, and to which countries, so you won’t have your card blocked for ‘suspicious’ transactions. Also, when using your credit card and the vendor/ATM asks if you would like to pay in NZD, say no as most of the time there will be a big markup on the rate, and it will be cheaper to just let your credit card handle the conversion for you. You will find this practice to be very popular in airports.